* TIDAL - Explicit version content will now be identified​ by album thumb tag. * Qobuz - “My Music” tab renamed “Purchased”. 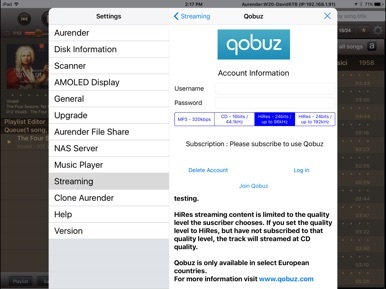 Recent Qobuz API update provides splitting of “Favorite Playlists”, “Favorites” and “My Playlist”. * ACS10 can now support Merging Technologies RAVENNA network audio protocol. * Minor bugs fixed and stability improved. 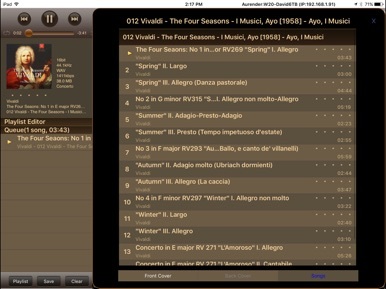 The remote app for aurender W20, N10, S10, A10, X100 & N100 which are the most comfortable and enjoyable music system. 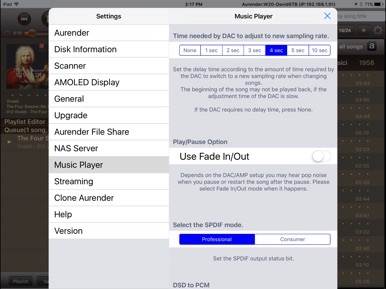 Now, you can select songs using iPad very easily. 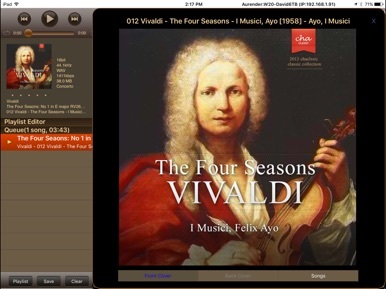 You can select songs by not only Artist, album and songs but also composers and conductors. 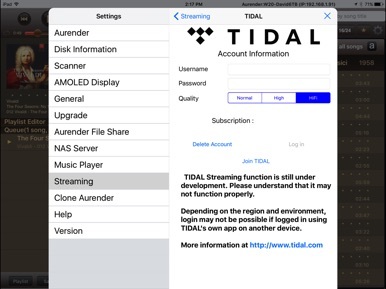 Supports TIDAL & Qobuz streaming service. With 64bit iOS devices, you can use power search feature which enable to search albums with any keywords. For further details, you can refer to our website.